Unified Champion Schools (UCS) is an internationally recognized inclusive program that actively engages youth, with and without intellectual disabilities (ID), to promote social, emotional, and physical health and awareness for all students. 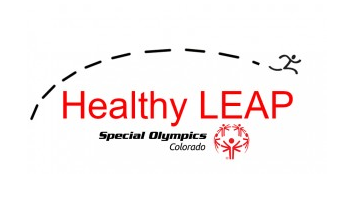 Special Olympics Colorado (SOCO) offers the Healthy LEAP (Lifestyle, Education, And Practice) program as one of the four components of UCS, providing health and nutrition lessons to students on nutrition, fitness, hygiene, and safety during the school day. SOCO will leverage relationships with the 289 schools that are currently implementing SOCO’s UCS program in order to expand Healthy LEAP and provide crucial information on health and wellness to an underserved population.